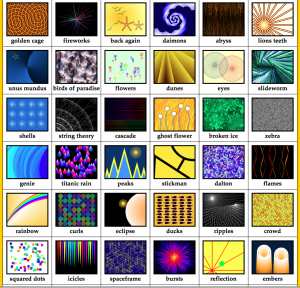 Turtle Art allows students to use mathematical reasoning, problem solving, counting, measurement, geometry and computer programming to create beautiful images. 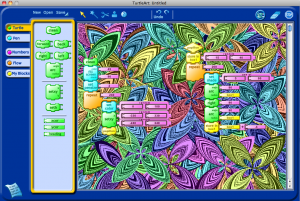 Turtle Art uses block programming like Scratch, but there is only one turtle, no multimedia, and projects are focused on the creation of art through the use of mathematics. 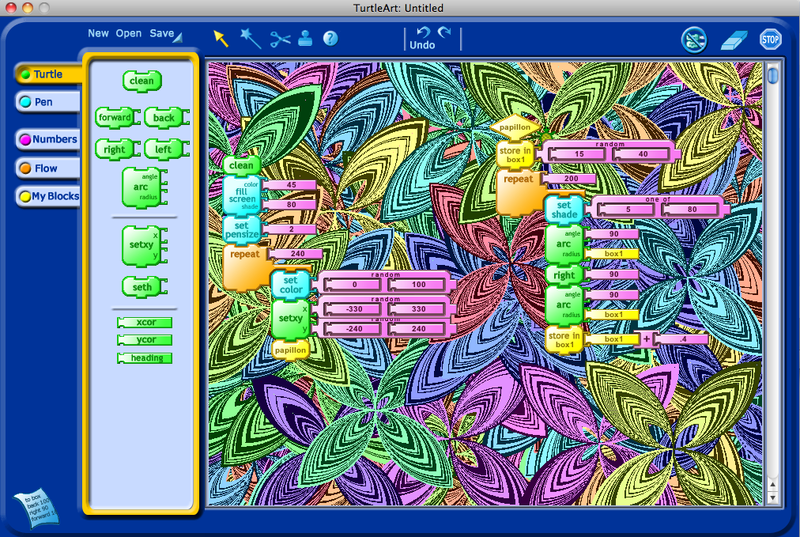 The genius of Turtle Art is that you can drag and drop an image from the Turtle Art website into the software and the static picture includes the blocks that created it. Borrow a block or two, remix a project, and when you save or email it to a friend, it looks like a normal graphics file in PNG format. Open that same file in the Turtle Art program and its blocks reappear! Turtle Art allows you to build a piece of art from scratch or by reassembling someone else’s “painting.” Young children and adult artists alike are amazed by how easy it is to create beautiful images out of mathematics. Here are Gary Stager’s printable Turtle Art Activity Cards (PDF) Additional activity cards and additional tutorials can be found online here. 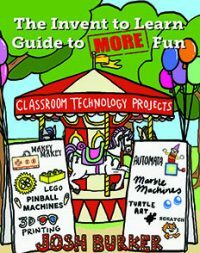 Learn more about why software like Turtle Art is a terrific way to learn coding in Invent to Learn: Making, Tinkering, and Engineering in the Classroom. Or attend professional development like our Constructing Modern Knowledge Summer Institute. If you have any questions, email Gary Stager.